For more than 150 years now the enigma of the disregard of the basic laws of heredity detected by Mendel in the 1860s for at least 34 years (from 1865 to 1900) has inspired a large number of conjectures and speculations. The most common of these proposals have been briefly listed and critically assessed. However, the well-argued answer given already at the beginning of the twentieth century by several pioneers of genetics including Correns, de Vries, Tschermak-Seysenegg, Bateson, Johannsen and others, and corroborated by further biologists and historians of biology in the more than one hundred years that followed, has not been adequately considered so far in the history of science in particular and in the public eye in general: The failure to accept the elemental laws of heredity for decades was due to the almost unlimited predominance of Darwin's theories on heredity and evolution. Darwin and his followers believed in the inheritance of acquired characteristics and blending inheritance as well as continuous evolution. Mendel rejected all three hypotheses. On the basis of hereditary constant elements (which he assumed to be independent of any environmental effects), he, in contrast, concluded ‘that species are fixed within limits beyond which they cannot change’ and completely rejected (what we today call) Lamarckism. Since there can be no doubt concerning Darwin's overwhelming victory in the battle for the scientific minds in the nineteenth century, there was no room left for the genuine laws of heredity until 1900. Their ‘rediscovery’ strongly reinforced the eclipse of Darwinism until the establishment of the modern synthesis in the 1930s and 1940s. Critically assessing the most commonly proffered reasons for the neglect of Mendel's work. Analysing and corroborating the arguments of several pioneers of genetics as well as further biologists and historians of science for the disregard of the basic laws of heredity: Darwinism versus Mendel. Because there is no doubt concerning Darwin's overwhelming victory in the battle for the scientific minds in the nineteenth century, Mendel's February 1865 lecture was even met with ‘scornful laughter’ and was furthermore disregarded by most scientists as irrelevant for biology in general and heredity in particular until about 1900. After careful experiments with Ficaria and other plant species, Mendel rejected the inheritance of acquired characteristics which Darwin had approved and tried to justify by his pangenesis hypothesis, which Stebbins called an ‘unfortunate anomaly’ and Klein to be ‘completely wrong’. Reasons why Mendel was convinced that the laws he had detected validated Gärtner's conclusion ‘that species are fixed with limits beyond which they cannot change’. 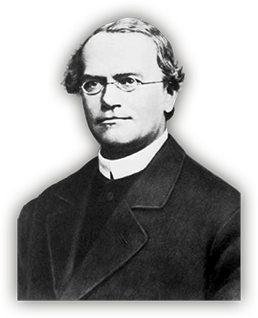 Mendel was well aware of the evolutionary theories up to his time. In his library there was even Erasmus Darwin's Zoonomia (German edition in 1795–1799). He also collected and studied all the works of Darwin and other evolutionary authors right after their publication – the first German edition of the Origin was published in 1860. The negative reactions of the Darwinian schools after the ‘rediscovery’ of Mendel's work – ‘The controversy became so bitter that in 1903 the British periodical Nature closed its columns to the Mendelians’ – subsequently led to the eclipse of Darwinism until the formulation of the modern evolutionary synthesis (the ‘marriage’ between Darwin and Mendel) in the 1930s and 1940s. SUBSCRIPTION OR PAYMENT NEEDED/REQUER ASSINATURA OU PAGAMENTO. Many outstanding problems have been solved in biology and medicine for which scientists have been awarded prestigious prizes including the Nobel Prize, Lasker Award and Breakthrough Prizes in life sciences. These have been the fruits of years of basic research. From time to time, publications have appeared listing “unsolved” problems in biology. In this article, I ask the question whether it is possible to have such a list, if not a unique one, at least one that is analogous to the Millennium Prize in mathematics. My approach to finding an answer to this question was to gather views of leading biologists. I have also included my own views. Analysis of all the responses received over several years has convinced me that it is difficult, but not impossible, to have such a prize. Biology is complex and very interdisciplinary these days at times involving large numbers of teams, unlike mathematics, where Andrew Wiles spent seven years in complete isolation and secrecy solving Fermat's last theorem. Such an approach is simply not possible in biology. Still I would like to suggest that a similar prize can be established by a panel of distinguished scientists. 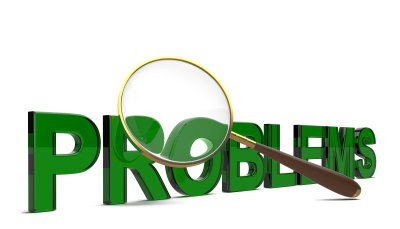 It would be awarded to those who solved one of the listed problems in biology that warrant a verifiable solution. Despite many different opinions, I found that there is some commonality in the responses I received – I go on to discuss what these are and how they may impact future thinking. Conflict of interest: The authors have declared no conflicts of interest for this article. For further resources related to this article, please visit the WIREs website. Over 100 distinct chemical modifications can be catalyzed on RNA post-synthesis, potentially serving as a post-transcriptional regulatory layer of gene expression. This review focuses on recent advances, knowledge gaps, and challenges pertaining to N6-methyladenosine (m6A), an abundant modification of mRNA for which substantial progress has been made in recent years. The discussed aspects are also very relevant for a wide range of additional modifications on mRNA collectively coined the epitranscriptome. 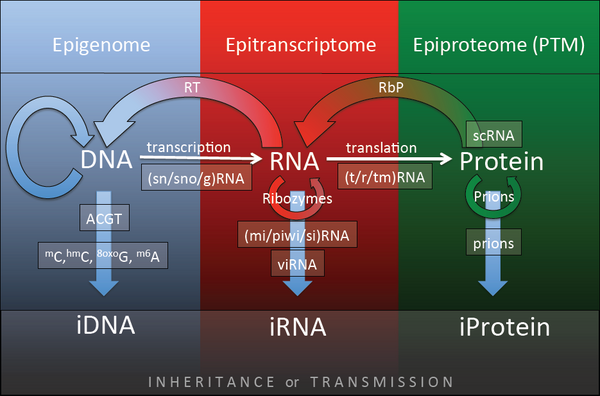 This article is distributed exclusively by the RNA Society for the first 12 months after the full-issue publication date (see http://rnajournal.cshlp.org/site/misc/terms.xhtml). After 12 months, it is available under a Creative Commons License (Attribution-NonCommercial 4.0 International), as described at http://creativecommons.org/licenses/by-nc/4.0/. Recent studies have found methyl-6-adenosine in thousands of mammalian genes, and this modification is most pronounced near the beginning of the 3' UTR. We present a perspective on current work and new single-molecule sequencing methods for detecting RNA base modifications. Modificações do mRNA: reguladores dinâmicos de expressão gênica? mRNA modifications: Dynamic regulators of gene expression? The expression of a gene is a tightly regulated process and is exerted by a myriad of different mechanisms. Recently, RNA modifications located in coding sequences of mRNAs, have been identified as potential regulators of gene expression. N6-methyladenosine (m6A), 5-methylcytosine (m5C), pseudouridine (Ψ) and N1-methyladenosine (m1A) have been found within open reading frames of mRNAs. 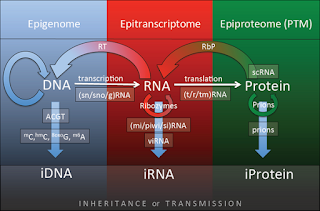 The presence of these mRNA modifications has been implicated to modulate the fate of an mRNA, ranging from maturation to its translation and even degradation. However, many aspects concerning the biological functions of mRNA modifications remain elusive. Recently, systematic in vitro studies allowed a first glimpse of the direct interplay of mRNA modifications and the efficiency and fidelity of ribosomal translation. It thereby became evident that the effects of mRNA modifications were, astonishingly versatile, depending on the type, position or sequence context. The incorporation of a single modification could either prematurely terminate protein synthesis, reduce the peptide yield or alter the amino acid sequence identity. These results implicate that mRNA modifications are a powerful mechanism to post-transcriptionally regulate gene expression. Milagre da evolução simultânea, concorrente, e convergente: mastigar como boi ajudou na evolução dos mamíferos primitivos! Theria comprises all but three living mammalian genera and is one of the most ecologically pervasive clades on Earth. Yet, the origin and early history of therians and their close relatives (i.e., cladotherians) remains surprisingly enigmatic. A critical biological function that can be compared among early mammal groups is mastication. Morphometrics and modeling analyses of the jaws of Mesozoic mammals indicate that cladotherians evolved musculoskeletal anatomies that increase mechanical advantage during jaw rotation around a dorsoventrally-oriented axis (i.e., yaw) while decreasing the mechanical advantage of jaw rotation around a mediolaterally-oriented axis (i.e., pitch). These changes parallel molar transformations in early cladotherians that indicate their chewing cycles included significant transverse movement, likely produced via yaw rotation. Thus, I hypothesize that cladotherian molar morphologies and musculoskeletal jaw anatomies evolved concurrently with increased yaw rotation of the jaw during chewing cycles. 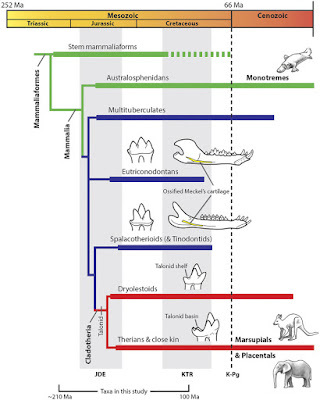 The increased transverse movement resulting from yaw rotation may have been a crucial evolutionary prerequisite for the functionally versatile tribosphenic molar morphology, which underlies the molars of all therians and is retained by many extant clades. 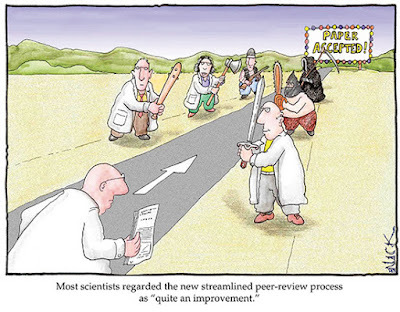 For constructive feedback, I thank Kenneth D. Angielczyk, Zhe-Xi Luo, Callum F. Ross, Allison K. Bormet, Julia A. Schultz, David A. Reed, Courtney P. Orsbon, Peter J. Makovicky, Michael I. Coates, Graham J. Slater, Ali Nabavizadeh, Nicholas J. Gidmark, Susumu Tomiya, Dallas Krentzel, P. David Polly, James S. Mellett, Bhart-Anjan S. Bhullar, and three anonymous reviewers. I thank P. David Polly and Aaron M. Olsen for assistance with geometric morphometrics. I am especially grateful to David A. Reed, Jose Iriarte-Diaz, and Callum F. Ross for discussions on jaw biomechanics, since many ideas presented in this study stemmed from those conversations. The Field Museum of Natural History (Brown Graduate Fellowship) and the University of Chicago (Committee on Evolutionary Biology) provided funding assistance. D.M.G. performed all work in this study. Correspondence to David M. Grossnickle. FREE PDF GRATIS: Scientific Reports Sup. Info. Guia anotado e interativo do Projeto do Genoma Humano nos Estados Unidos: GRÁTIS! 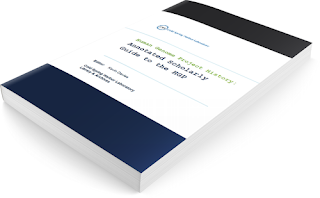 The guide to the HGP is a vast, online window into the Human Genome Project. It features a rich, meticulous gathering of resources, information and links to original research, articles, videos and many other materials. The scope spans not only the years bracketing the Project itself, but also the period leading to the launch and events following the Project’s completion. When the Human Genome Project was officially launched back in 1990, it was envisioned as an international effort that would span 15 years with a price tag of $3 billion -- $1 for each base of the genetic code. After a journal with many twists, turns and tribulations, this extraordinary quest was marked by a White House celebration in June 2000, and the publication of the first drafts of the human genome in February 2001. It is 15 years since those first drafts of the human genome were published. From a solitary reference genome, there are now hundreds of thousands of decoded genomes, thanks to astonishing advances in next-generation sequencing. Our understanding of the biology of the human genome has grown, bolstered by projects that have built upon the foundation of the Human Genome Project, including the International HapMap project, The Cancer Genome Atlas, the ENCODE Project, and many more. The guide is published online as a wiki, with extensive use of internal links to cross reference events, people, events and publications. The Guide is also available in an electronic book format and is supplied in an Adobe PDF format. 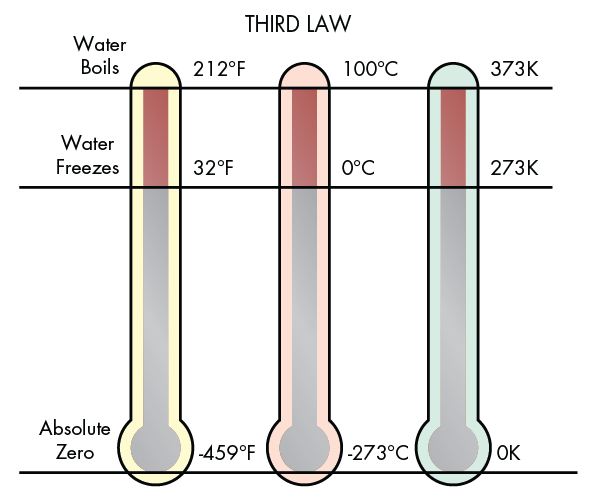 The most accepted version of the third law of thermodynamics, the unattainability principle, states that any process cannot reach absolute zero temperature in a finite number of steps and within a finite time. Here, we provide a derivation of the principle that applies to arbitrary cooling processes, even those exploiting the laws of quantum mechanics or involving an infinite-dimensional reservoir. We quantify the resources needed to cool a system to any temperature, and translate these resources into the minimal time or number of steps, by considering the notion of a thermal machine that obeys similar restrictions to universal computers. We generally find that the obtainable temperature can scale as an inverse power of the cooling time. Our results also clarify the connection between two versions of the third law (the unattainability principle and the heat theorem), and place ultimate bounds on the speed at which information can be erased. We are grateful for discussions with Jacob Bekenstein, Fernando Brandao, Karen Hovhannisyan, Ronnie Kosloff, Michał Horodecki, Pawel Horodecki and Mischa Woods. L.M. is supported by the EPSRC, and J.O. is supported by EPSRC and by the Royal Society. All authors have contributed extensively to the paper. 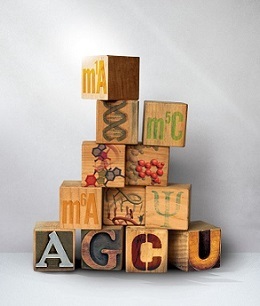 FREE PDF GRATIS: Nature Communications Sup. Info. O tamanho de cérebro de primatas é predito pela dieta e não pela sociabilidade. Será??? The social brain hypothesis posits that social complexity is the primary driver of primate cognitive complexity, and that social pressures ultimately led to the evolution of the large human brain. Although this idea has been supported by studies indicating positive relationships between relative brain and/or neocortex size and group size, reported effects of different social and mating systems are highly conflicting. Here, we use a much larger sample of primates, more recent phylogenies, and updated statistical techniques, to show that brain size is predicted by diet, rather than multiple measures of sociality, after controlling for body size and phylogeny. Specifically, frugivores exhibit larger brains than folivores. Our results call into question the current emphasis on social rather than ecological explanations for the evolution of large brains in primates and evoke a range of ecological and developmental hypotheses centred on frugivory, including spatial information storage, extractive foraging and overcoming metabolic constraints. 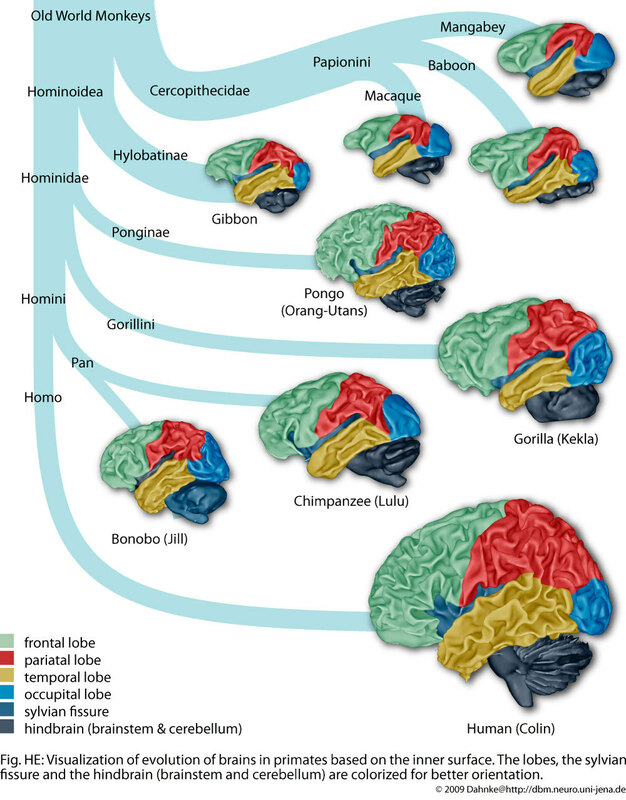 Primates, especially anthropoids, have relatively large brains compared to other mammals. These observations have led researchers to propose various explanations for the evolution of increased brain size in the primate lineage. Accordingly, numerous comparative analyses have been undertaken with the goal of identifying social and/or ecological variables that explain interspecific variation in overall brain size, or of specific brain regions1. Early studies suggested that ecological factors, such as diet, explain relative brain size variation in non-human primates2,​3,​4,​5. This is consistent with the idea that processing of meat and other foods contributed to subsequent increases in hominin brain size6, 7 by fulfilling corresponding higher energy requirements8,​9,​10,​11. Later comparative studies emphasized the role of social factors. In particular, the social brain hypothesis posits that social complexity is the primary driver of cognitive complexity among primates, and that social pressures associated with maintaining group cohesion ultimately led to the evolution of the large human brain12,​13,​14,​15. This hypothesis has been supported by studies indicating positive relationships between relative brain and/or neocortex size and mean group size2,14,​15,​16,​17. However, research investigating the relationships between relative brain size and different social and mating system types, which may differ in their relative social complexity, has produced highly conflicting results17,18. Some studies have shown that polygynandrous primate species have the largest brains3,17, consistent with the idea that systems that promote the most interactions and relationships between the greatest numbers of individuals might be the most cognitively demanding. Conversely, other studies have shown that monogamous species have the largest brains18, and have argued that monogamy may require greater deception and manipulation abilities18 for obtaining extra-pair copulations, produce a relatively high cost of cuckoldry, and/or require conflict resolution and coordination abilities for bond maintenance17. These conflicting results suggest that methodological issues may have led different researchers to different conclusions. Throughout the comparative study of primate brain size evolution, species sample sizes used in analyses have been small and idiosyncratic, while the statistical techniques available have improved considerably since early analyses. For example, many early studies used residuals as data, which can cause bias if the control variable co-varies with other variables in the analysis; the use of multiple regression with the confounding variable incorporated as a covariate is now recommended instead19. 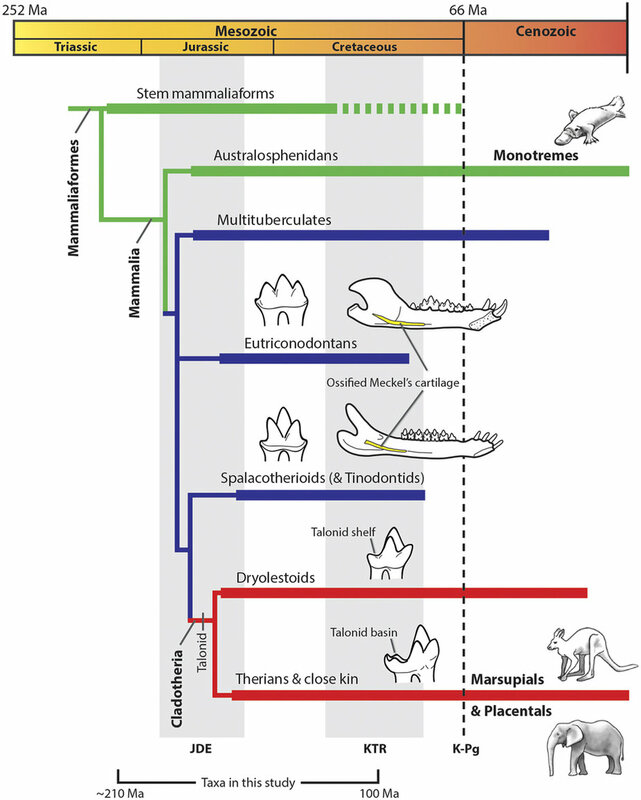 In addition, many studies used a phylogeny20 that has become outdated and set all branch lengths to 1—a relatively radical branch length transformation that presumes an evolutionary pattern in which changes occur at the time of speciation in both daughter species. We assembled a much larger and more representative sample of primates (>140 spp., more than tripling the sample size of previous studies) and tested whether multiple measures of sociality (mean group size, social and mating system separately) explain variation in brain size after controlling for body size, diet and phylogenetic history. Although some studies have used relative neocortex size rather than whole brain size, this information is not available for a large sample of primate species; in any case, the neocortex scales hyper-allometrically with brain size21. In its original form, the social brain hypothesis was formulated to explain primate intelligence12,13 and was later discussed as an attempt to explain brain size14,15,22. The subsequent focus on the neocortex was not always based on a priori reasoning, but because neocortex analyses sometimes showed the strongest correlations with the social variables under examination14. Regions outside the neocortex are also involved in complex cognitive functions (for example, cerebellum23, hippocampus24, striatum25) and studies show that overall brain size predicts global cognitive ability across non-human primates24,26. Furthermore, studies by the main proponents of the social brain hypothesis continue to present analyses of relative total brain size17,22,24, consistent with the interpretation that the social brain hypothesis does indeed aim to explain evolutionary increases not only in neocortex ratio, but in overall brain size. We thank M. Shattuck for help with data compilation, H. Kaplan for providing access to additional data, R. Raaum for statistical advice, and R. Peterson and M. Petersdorf for encouragement and feedback on previous versions of the manuscript. For training in phylogenetic comparative methods, J.P.H. thanks the AnthroTree Workshop, which is supported by the National Science Foundation (NSF; BCS-0923791) and the National Evolutionary Synthesis Center (NSF grant EF-0905606). This material is based on work supported by the NSF Graduate Research Fellowship (grant DGE1342536). A.R.D. designed the project and performed the analyses with input from J.P.H. and S.A.W. A.R.D. and S.A.W. collected the data. All three authors wrote the manuscript. Correspondence to Alex R. DeCasien. Intelligent Design: A scientific theory that holds that certain features of the universe and of living things are best explained by an intelligent cause rather than undirected process such as natural selection. Intelligent design (ID) is a scientific theory that employs the methods commonly used by other historical sciences to conclude that certain features of the universe and of living things are best explained by an intelligent cause, not an undirected process such as natural selection. ID theorists argue that design can be inferred by studying the informational properties of natural objects to determine if they bear the type of information that in our experience arise from an intelligent cause. The form of information which we observe is produced by intelligent action, and thus reliably indicates design, is generally called “specified complexity” or “complex and specified information” (CSI). On this page you can download an annotated bibliography of peer-reviewed and peer-edited scientific articles supporting, applying, or arising from the theory of intelligent design. You also can read a description of the intelligent design research community and its aims. Evolution by Darwinian natural selection can not only shape how organisms survive and reproduce, but also affect transmission of genetic and other information between generations. Modifier-gene models for the evolution of information transmission have revealed a universal tendency for more faithful transmission to evolve in populations at equilibrium where natural selection is balanced by errors in information transmission. This is shown to be a very general property of models that include mutation and migration under selection and recombination under selection on diploids. The breadth of this reduction principle focuses attention on the departures from its mathematical assumptions, which may explain those biological phenomena of information transmission between generations for which the reduction principle fails. Modifier-gene models for the evolution of genetic information transmission between generations of organisms exhibit the reduction principle: Selection favors reduction in the rate of variation production in populations near equilibrium under a balance of constant viability selection and variation production. Whereas this outcome has been proven for a variety of genetic models, it has not been proven in general for multiallelic genetic models of mutation, migration, and recombination modification with arbitrary linkage between the modifier and major genes under viability selection. We show that the reduction principle holds for all of these cases by developing a unifying mathematical framework that characterizes all of these evolutionary models. 1L.A., U.L., and M.W.F. contributed equally to this work. 2To whom correspondence should be addressed. Email: mfeldman@stanford.edu. Author contributions: L.A., U.L., and M.W.F. designed research, performed research, analyzed data, and wrote the paper. Reviewers: R.B., University of Vienna; Y.I., Kyushu University; and H.G.S., University of Otago. This article contains supporting information online at www.pnas.org/lookup/suppl/doi:10.1073/pnas.1619655114/-/DCSupplemental. Starting 385 million years ago, certain fish slowly evolved into legged animals living on land. We show that eyes tripled in size and shifted from the sides to the top of the head long before fish modified their fins into limbs for land. Before permanent life on land, these animals probably hunted like crocodiles, looking at prey from just above the water line, where the vastly higher transparency of air enabled long-distance vision and selected for larger eyes. The “buena vista” hypothesis that our study forwards is that seeing opportunities far away provided an informational zip line to the bounty of invertebrate prey on land, aiding selection for limbs—first for brief forays onto land and eventually, for life there. The evolution of terrestrial vertebrates, starting around 385 million years ago, is an iconic moment in evolution that brings to mind images of fish transforming into four-legged animals. Here, we show that this radical change in body shape was preceded by an equally dramatic change in sensory abilities akin to transitioning from seeing over short distances in a dense fog to seeing over long distances on a clear day. Measurements of eye sockets and simulations of their evolution show that eyes nearly tripled in size just before vertebrates began living on land. Computational simulations of these animal’s visual ecology show that for viewing objects through water, the increase in eye size provided a negligible increase in performance. However, when viewing objects through air, the increase in eye size provided a large increase in performance. The jump in eye size was, therefore, unlikely to have arisen for seeing through water and instead points to an unexpected hybrid of seeing through air while still primarily inhabiting water. 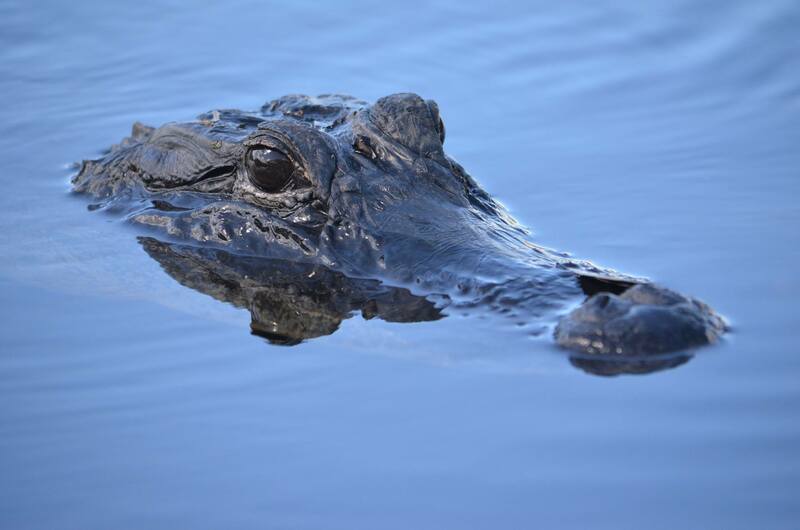 Our results and several anatomical innovations arising at the same time suggest lifestyle similarity to crocodiles. The consequent combination of the increase in eye size and vision through air would have conferred a 1 million-fold increase in the amount of space within which objects could be seen. The “buena vista” hypothesis that our data suggest is that seeing opportunities from afar played a role in the subsequent evolution of fully terrestrial limbs as well as the emergence of elaborated action sequences through planning circuits in the nervous system. 1To whom correspondence may be addressed. Email: maciver@northwestern.edu or lschmitz@kecksci.claremont.edu. Author contributions: M.A.M. and L.S. designed research; M.A.M. and L.S. performed research; T.D.M. contributed new reagents/analytic tools; M.A.M., L.S., U.M., and C.D.M. analyzed data; and M.A.M. and L.S. wrote the paper. Data deposition: Code and data to reproduce these results is available at https://doi.org/10.5281/zenodo.321923. This article contains supporting information online at www.pnas.org/lookup/suppl/doi:10.1073/pnas.1615563114/-/DCSupplemental. Nucleic Acids Res (2017) 45 (5): 2354-2367. The current classification of cells in an organism is largely based on their anatomic and developmental origin. 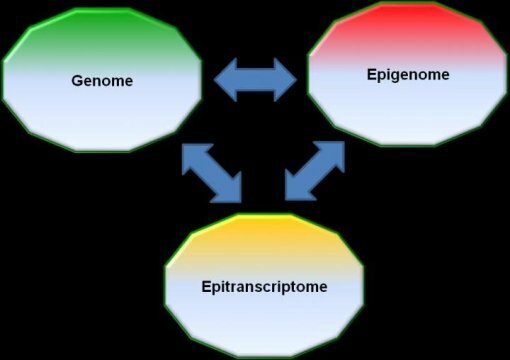 Cells types and tissues are traditionally classified into those that arise from the three embryonic germ layers, the ectoderm, mesoderm and endoderm, but this model does not take into account the organization of cell type-specific patterns of gene expression. Here, we present computational models for cell type and tissue specification derived from a collection of 921 RNA-sequencing samples from 272 distinct mouse cell types or tissues. In an unbiased fashion, this analysis accurately predicts the three known germ layers. Unexpectedly, this analysis also suggests that in total there are eight major domains of cell type-specification, corresponding to the neurectoderm, neural crest, surface ectoderm, endoderm, mesoderm, blood mesoderm, germ cells and the embryonic domain. Further, we identify putative genes responsible for specifying the domain and the cell type. This model has implications for understanding trans-lineage differentiation for stem cells, developmental cell biology and regenerative medicine. 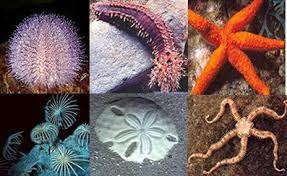 Echinoderms are among the marine invertebrates that underwent the most severe losses at the end-Permian extinction. The prevailing paradigm claims an extreme bottleneck with only very few, if not single, holdovers ("hangovers" herein) sparking the post-Paleozoic radiation. Here we identify previously overlooked Triassic echinoids, ophiuroids, and asteroids as unambiguous members of Paleozoic stem groups. These echinoderm hangovers occurred almost worldwide and had spread into a wide range of paleoenvironments by the Late Triassic. Our discovery challenges fundamentals of echinoderm evolution with respect to end-Permian survival and sheds new light on the early evolution of the modern clades, in particular on Triassic ghost lineages (i.e., inferred but undocumented fossil record) of the crown-group look-alikes of the Paleozoic hangovers. Received 21 December 2016. Revision received 3 February 2017. Accepted 11 February 2017. Figure 6: Models of bacterial chromosome organization. Models of nucleoid organization with Ori and Ter represented by red and purple circles. (a) Model of the E. coli genome with the four macro-domains Ori, Ter, left, right, represented by circles in red, purple, pink and blue, respectively. (b) Model of the B. subtilis genome adapted from ref. 52. (c) 3D models of the M. pneumoniae genome conformation. DNA-binding proteins are central regulators of chromosome organization; however, in genome-reduced bacteria their diversity is largely diminished. Whether the chromosomes of such bacteria adopt defined three-dimensional structures remains unexplored. Here we combine Hi-C and super-resolution microscopy to determine the structure of the Mycoplasma pneumoniae chromosome at a 10 kb resolution. We find a defined structure, with a global symmetry between two arms that connect opposite poles, one bearing the chromosomal Ori and the other the midpoint. Analysis of local structures at a 3 kb resolution indicates that the chromosome is organized into domains ranging from 15 to 33 kb. We provide evidence that genes within the same domain tend to be co-regulated, suggesting that chromosome organization influences transcriptional regulation, and that supercoiling regulates local organization. This study extends the current understanding of bacterial genome organization and demonstrates that a defined chromosomal structure is a universal feature of living systems. We thank Dr Besray Ünal and Dr Ivan Junier for providing the co-expression data, and Dr Ivan Junier and Dr François Serra for helpful suggestions. We are also grateful to Dr Jae-Seong Yang for fruitful discussions and Tony Ferrar for critical manuscript revision and language editing (http://www.theeditorsite.com). The research leading to these results was funded by the European Union Seventh Framework Programme (FP7/2007-2013 to L.S. ), through the European Research Council, under grant agreement 232913 to L.S. and 609989 to M.A.M-R., the European Union's Horizon 2020 research and innovation program under Grant Agreement No. 634942 to L.S, the Fundación Botín to L.S., the Spanish Ministry of Economy and Competitiveness (BIO2007-61762 to L.S. and BFU2013–47736-P to M.A.M.-R., the National Plan of R+D+i, the ISCIII-Subdirección General de Evaluación y Fomento de la Investigación- (PI10/01702 to L.S. ), the Human Frontiers Science Program (RGP0044 to M.A.M.-R.), the ERASynBio/MINECO Grant PCIN-2015-125 to L.S, and the European Regional Development Fund (ERDF) to L.S. We acknowledge support from the Spanish Ministry of Economy and Competitiveness, ‘Centro de Excelencia Severo Ochoa 2013–2017’ (SEV-2012-0208). We acknowledge the support of the CERCA Programme / Generalitat de Catalunya. This paper reflects only the authorś views and the Union is not liable for any use that may be made of the information contained therein. Library preparation and sequencing was done in the CRG Genomics Unit and high resolution light microscopy analysis in the CRG microscopy unit. M.T. performed super-resolution imaging experiments, DAPI and EM experiments, collected and analysed the data and wrote the manuscript; E.Y. designed, optimized and performed Hi-C experiments, obtained the gene expression data and reviewed the manuscript; C.M. performed Hi-C experiments and the FISH for super-resolution imaging experiments. D.B. implemented the simulation of 3D models and reviewed the manuscript. Y.O.T. performed EM experiments. T.P. designed a pipeline to analyse super-resolution images. MW cultured M. pneumoniae and performed the 3D-SIM experiments. S.K. performed initial Hi-C experiments and reviewed the manuscript. J.S. performed 3D reconstruction from EM images; SPD designed and supervised the mycoplasma imaging experiments and reviewed the manuscript. LT imaged the slides on the OMX microscope. MW, SPD, LT and CBW analysed the 3D-SIM data and generated the 3D models for the chromosome volume measurements. M.M. designed and supervised EM experiments and reviewed the manuscript. M.A.M.-R. supervised the computational 3D modelling and reviewed the manuscript. M.L.-S. designed and supervised super-resolution imaging experiments and reviewed the manuscript. and L.S. supervised the study and reviewed the manuscript. Correspondence to Marc A. Marti-Renom or Maria Lluch-Senar or Luís Serrano.